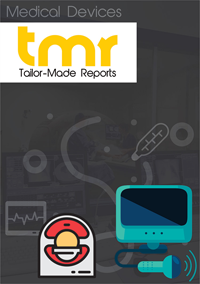 The report details an exhaustive account of the global facial injectables market along with numerous associated factors. Some of these factors that are included in the report are drivers, restraints, competitive analysis, latest trends and opportunities, geographical outlook, and many other aspects. The study covered in the report spans a forecast period from 2018 to 2028. From an overall perspective, the report is expected to exist as a valuable insight to businesses which are already operating in the global facial injectables market, as well as for those who intend to newly establish themselves in this environment. A soaring concern to achieve the perfect facial appearance among people is the main cause of increased number of cosmetic surgeries. This has substantially increased the use of facial injectables, thereby driving the facial injectables market. There are various types of cosmetic surgeries that are increasingly gaining popularity. Facial bone structuring, botox, skin surgeries, and other such medical procedures also are key reason pushing expansion in the this market to a new level. Influence of celebrities and social media has played a vital role in enhancing the growth buzz in the facial injectibles market. However allergy risks and huge costs associated with the services are the major restraining factors of the market. Moreover, processes involving use of facial injectables might not be readily available in remote and underdeveloped regions. Nonetheless, many companies are expected to regulate process costs and improve geographical spread. This could certainly offset most restraints affecting the global facial injectables market. This global facial injectables market is mainly spread across North America, Asia Pacific, the Middle East and Africa, Latin America, and Europe from a regional perspective. Of these, North America holds a dominant position compared to other countries on account of the presence of a strong healthcare infrastructure. Moreover, a rising preference for fast healthcare services and effective responses from healthcare organizations also is making the global facial injectables market proliferate rapidly in North America. However, apart from this region, Asia Pacific also showcases extensive presence of the market in addition to Europe. This is mainly due to a highly increasing demand of quality healthcare services using facial injectables occurring in these regions. The global facial injectables market depicts the presence of a highly competitive vendor landscape. Many companies are attempting to bring forth smart innovations to their services. Several players are also participating in important mergers and acquisitions in the form of key strategies to expand their presence in the global facial injectables market. ALLERGAN, Ipsen, Merz Pharma, Suneva Medical, Inc., Medytox, Inc., Sinclair Pharma, Bloomage BioTechnology Corporation Limited, Anika Therapeutics, Inc., Prollenium Medical Technologies Inc., and Galderma S.A., are key players operating in the global facial injectables market. Moreover, companies are expected to launch new products on a regular basis to maintain their competitive spirit. From an overall perspective, the competition in the facial injectables market is likely to intensify with an increase prophesized to occur with respect to the number of players.